At the start of the protest, Schill tried to make friends with the students who are lining his passageway. He put out a gift package of chocolates and cheeses, Divest UO campaign coordinator Kaia Hazard said, adding the students wouldn’t touch it. “We really don’t want to accept anything less than divestment,” she said. Tagged divestment. Bookmark the permalink. Let them eat brie. So, where is this photo taken? 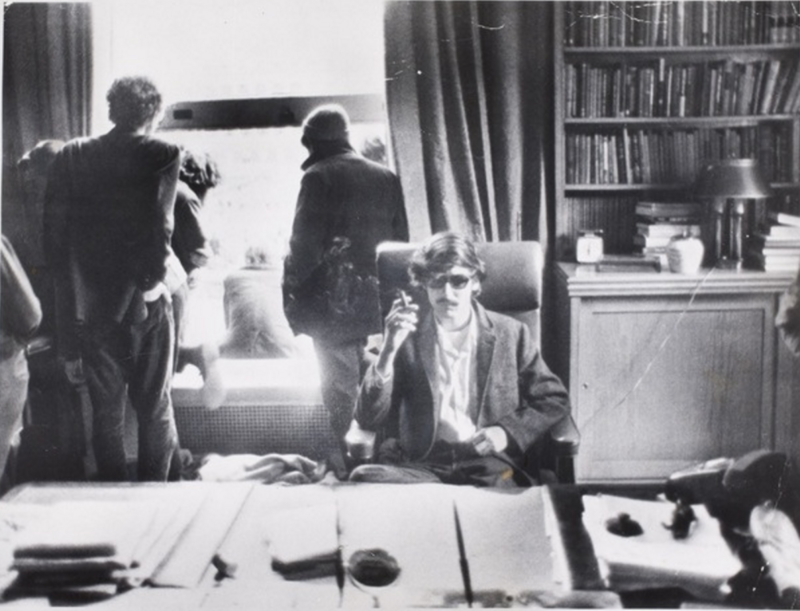 Office of the President, Columbia University, 1968. Columbia University was originally known as King’s College, in honor of George II. The name was changed in 1784 to appease some whiny liberals. Bill, I didn’t know you were at Columbia. Do I look like a damn Yalie?